The administration’s goal in streamlining the process for American defense contractors to grow their sales internationally and bringing in unmanned aerial systems is a race for global influence that goes well beyond the marketplace, government and industry association panelists agreed on Wednesday. “Who’s going to make the rules for the next 50 years” for international behavior, Dak Hardwick, assistant vice president for international affairs at the Aerospace Industries Association, said. Hardwick and others specially cited the growing Chinese interest in overseas military sales and Russia’s success of selling air missile defense systems to Turkey and possibly India. Neither has the strict rules governing the sales or how these systems would be used after purchase the U.S. does. Speaking at the Center for Strategic and International Studies event in Washington, Tina Kaidanow, acting assistant secretary of state for political-military affairs, added the April presidential memo revising the arms transfer policy and covering unmanned serial systems sales, “is only the first step [to] support and grow our defense industrial base.” She added that every sale, still will be reviewed for compliance with United States law concerning human rights and how each sale could affect arms proliferation. The government expects to meet industry requests to set milestones and timelines so they can plan and budget for potential sales domestically and to allies and partners, Laura Cressey, deputy director for regional security and arms transfers at the State Department said. She added new financing options for foreign partners would be available as an incentive to buy American. “We have a bit of a balancing act here,” she said. For example, the balancing act includes mitigating the risk to the American warfighter five years down the road by selling this specific system with its unique technology to “Y” country. Case-by-case also means that approval is not guaranteed based upon past performance by a contractor or behavior by a nation, she and several panelists said. In some parts of the State Department, it also means trying to “do more with less” to meet accelerated timelines as staffing has been left vacant or cut, she added. To Jeff Abramson, a senior fellow at the Arms Control Association, this raised “a great deal of concern” because “priorities are not being weighted” in reaching those decisions. He added arms sales should not be considered “a trade commodity; these are weapons,” not to be rushed the system. Arms sales “are fundamentally a political act,” Melissa Dalton, director of CSIS’ cooperative defense project, added, and the change in policy needs to fit in with the President Donald Trump’s national security strategy. In the memo, she said it uses that standard as a guide but does not spell out how for the various federal agencies involved in arms transfers. “What has changed” most in the international marketplace “is the United States is not alone” in offering quality military equipment, Keith Webster, president of the defense and aerospace export council at the United States Chamber of Commerce, said. He said the United States is not only competing with the Russians and the Chinese, but also with its allies such as the French, Koreans and Israelis. Thirty years ago, “we had a very strong corner on the market,” and only serious competition from the Kremlin. Now the “consequence of denial” in a potential arms transfer over American concerns about how the system will be used or a nation’s change in behavior, as was the case with Pakistan when it pursued its nuclear weapons program, have much greater consequences domestically. 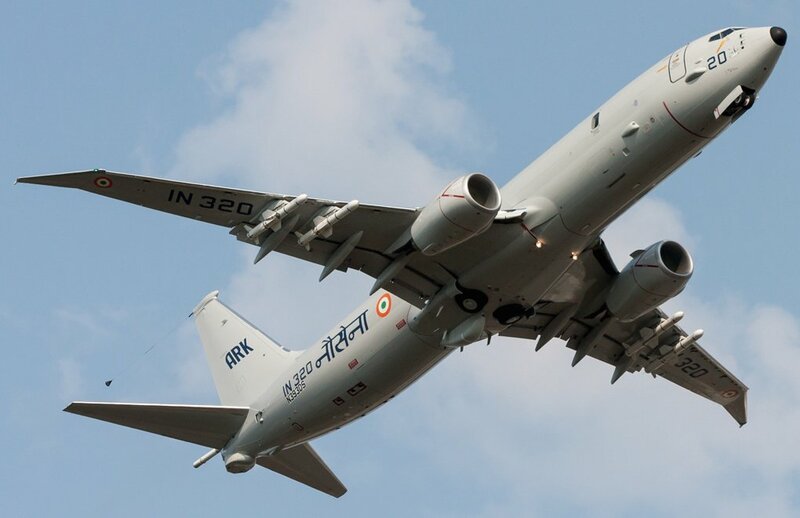 Likewise, it becomes more complicated when a potential partner, such as India, buys sophisticated aircraft from France, as New Delhi did, and may do with an air defense system from Russia. Another goal in foreign arms sale is interoperability with American forces, Cressey and Kaidanow said. When systems from other nations, even allies, are in play, that becomes a further reach. As the policy unfolds, the panelists from industry and arms control associations stressed the importance of keeping businesses and the public involved in as transparent a process as possible. Alex Gray, a special White House assistant for the defense industrial base, used the Farnborough air show this year in the United Kingdom as an example of the administration reaching out to all levels of industry and allies and partners to talk over these changes and what they can mean for them. “This is just the beginning of our engagement,” Cressey said, referring to follow-up roundtables with industry, think tanks and associations. Hardwick, in answer to a question, reminded all it was important for State, who gives the formal approval, and the Pentagon and Commerce, both also involved in the sales program, to “remember the role of the end-user” in all this. After all, it is an ally or partner looking to provide for its security needs when examining different systems from a number of countries.